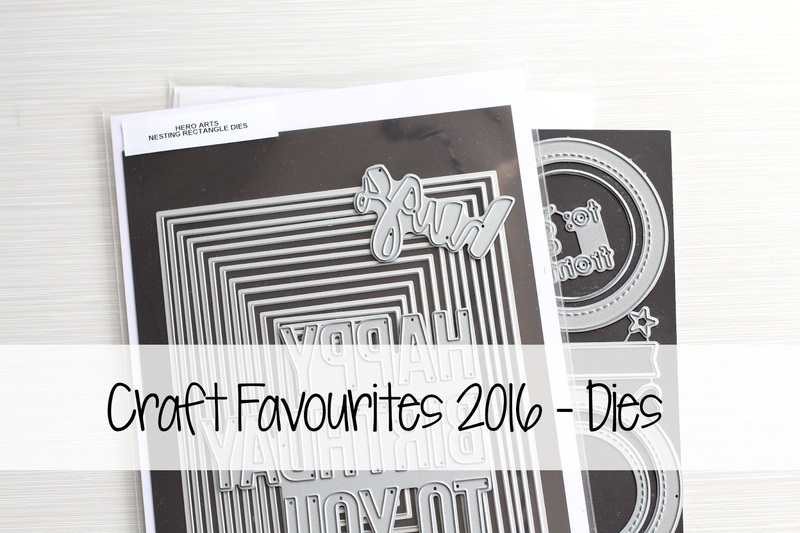 Hello there, today in my Craft Favourites 2016 series I am talking about dies. I have to be honest and say that I was very boring this year when it came to dies. I pretty much used the same ones over and over again from the last few years (Mama Elephant Femme Frames and the Simon Says Stamp stitched dies). What were your favourite dies to use this year? If you like the look of the Hero Arts Infinity dies I shared in my video today, be sure to check by my blog tomorrow, I may just have a giveaway for you! :) Thanks so much for visiting me today. I hope you have a great day! I love dies! And the infinity dies look to be very useful. I am hard pressed to choose a favorite but I do love all my sentiments dies. (I love the SSS painted words dies). Thanks for this video! Great video Michelle!!! I now know I need those stitched sentiments dies!!!! Thank you for sharing your favorites, Michelle!